Home › Energy-Efficient LED Lighting › Byb Built-In Rechargeable Wireless Motion Sensor Led Night Light With 3 Modes..
Byb Built-In Rechargeable Wireless Motion Sensor Led Night Light With 3 Modes..
BUILT-IN RECHARGEABLE LITHIUM BATTERY: No need to waste money on AAA batteries! 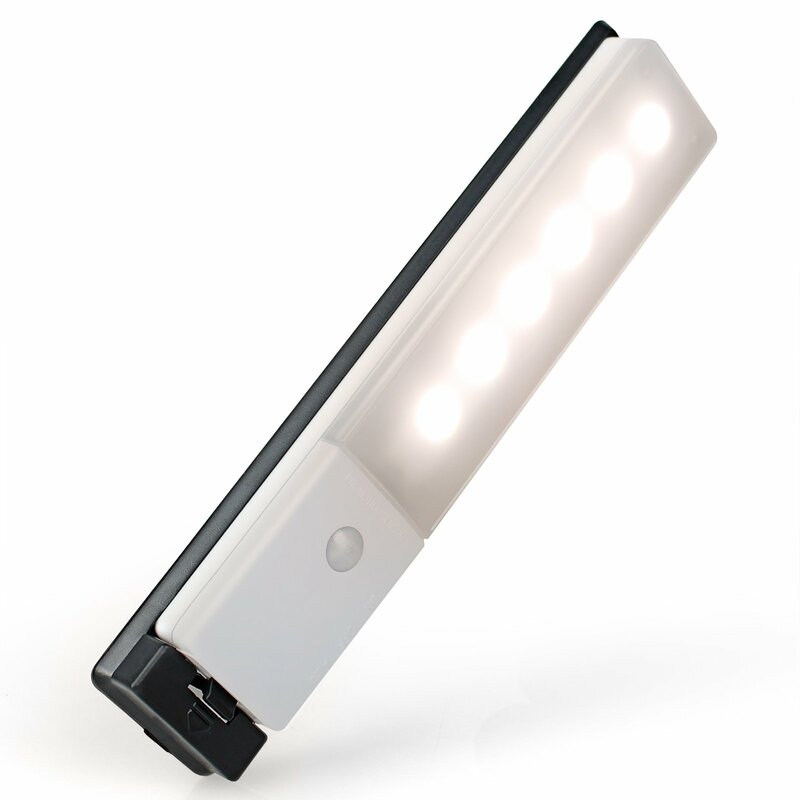 The built-in lithium battery provides 4 hours of continuous light. The unit can last up to 2 months in "auto" mode (so it comes on only when motion is detected). When the power gets low, just connect it to a USB port with the included Micro USB cable. EASY TO INSTALL: You have multiple options for mounting this light. Included with the unit are a built-in magnet, 3M adhesive tape, screws and mounting holes. ENVIRONMENT FRIENDLY & LONG LIFESPAN: The LEDs bulbs last up to 75 years. And thanks to the rechargeable battery, there's no need to worry about removing and replacing batteries.